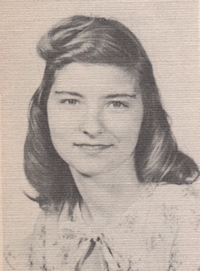 Obituary – Baetz, Leona Fae (McAfee) « Perry High School Alumni Association, Inc.
﻿D. E. Club 46-48, Library 45-48, Red Hots 45-48, Y-Teens 46-48. Funeral services for Leona Baetz, age 80, of Tyler, Texas are scheduled for 10:00 AM Tuesday at Trinity Lutheran Church in Tyler. Graveside services will be held at 3:00 PM Tuesday at the Spring Hill Cemetery, near Naples, Texas, under the direction of Caudle-Rutledge Funeral Home of Lindale. Mrs. Baetz was born December 30, 1930 in Oklahoma City, Oklahoma, the daughter of the late Charles William and Lilah Leona (Baugher) McAfee. She passed away Friday, April 8, 2011 at home in Tyler. She lived in Tyler for the past 3 years, moving from Daingerfield, where she lived for 15 years. Mrs. Baetz was a loving Mother, Grandmother and Great Grandmother. She was a member of Trinity Lutheran Church. She was preceded in death by her husband Charles O. Baetz on September 23, 2009. Mrs. Baetz is survived by her children, Janet Elaine Curry and husband Rodney, Carol Ann Ross McKinney and husband Mark, Rick Baetz and wife Mag, Wayne Alan Baetz, Steven Lee Baetz and wife Janice, Bette Jo Moore and husband Terry, Kenneth Ray Baetz and wife Nancy, Gary Dale Baetz and wife Lori, James Scott Baetz and wife Lou Anne, Brian Keith Baetz and wife Jennifer; Sisters, Jo Ellen Sams, Patsy Gaines and husband Billie, Naomi York and husband David; brothers, Harry Gorham and wife Virginia, Curtis Gorham; grandchildren, Steven Curry and Fiancé Monica Neal, Susan Watkins and husband Rodney, Richard Ross, Michael Ross and wife Joanne, Richard Baetz and wife Michelle, Stephanie Baetz, Robert Baetz and wife Kristin, Chris Baetz and wife Melissa, Adam Baetz, Brittany Mosely, Mary Rose Baetz, Charles Baetz, Esther Baetz, Joshua Baetz, Charles Baetz and wife Leslie, Travis Baetz, Brian-Lee, Jacob, Matthew and Cody Baetz, Branden and Cody Baetz; great grandchildren, Kyle and Amanda Neal, Kaitlyn Curry, Brittany, Hunter and Grant Watkins, Charley Parker, Richard and Alyssa Ross, Eric Benton, Justin and Megan Ross, Ty, Miranda, Grady and Brynley Baetz, Kaylan, Kelsey and Kaden Baetz, Blake, Mason and Destiny Baetz, Keith and Trevor Baetz, Zachary and Raina Baetz and Trinity and Jorja Baetz. Pallbearers will be Steve Curry, Richard Ross, Chris Baetz, Robert Baetz, Adam Baetz, Charles Baetz and Travis Baetz. Family will receive friends from 6-8 PM Monday at the funeral home. 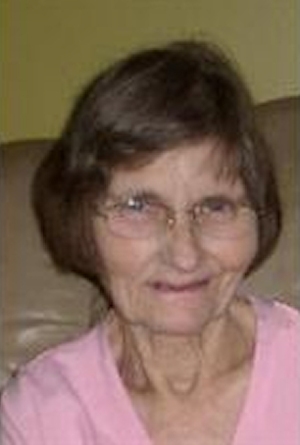 The family has asked that any memorials go to East Texas Hospice in the name of Leona Baetz.